Sitting on the edge of Central Park with some of the most sweeping views of its treetops, The Ritz-Carlton New York, Central Park is a different, more quiet side of New York, and after its recent makeover by French designers Gilles & Boissier, it’s looking better than ever before. From the revamped rooms of The Ritz-Carlton New York, Central Park, the Big Apple feels a little different… Maybe it’s the location of the hotel on the quiet south side of Central Park, or maybe it’s the “home away from home” feel of its spaces, courtesy of custom-made furnishings in creamy shades of taupe and pale rose, but this Manhattan grande dame manages the feat of creating the intimacy of a private NYC townhome while keeping its amenities and services of a luxury hotel. This is most obvious in the two recently added Legendary Suites,with their expansive living areas and decor that blends New York Beaux Arts classicism with contemporary French flair- think a modern Manhattan penthouse with whimsical furnishings, handcrafted wood accents and specially commissioned artworks. Elsewhere, La Prairie’s first stateside spa is another highlight of the hotel with six treatment rooms that shout Swiss glamour with their neutral walls, custom carpeting and chandelier lighting. 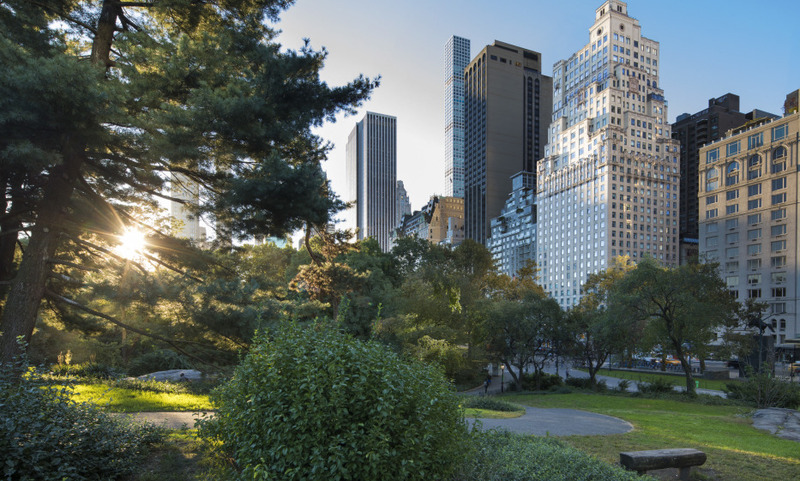 Steps from the hustle and bustle of Fifth Avenue, The Ritz-Carlton New York, Central Park is a portal to another world. The only luxury hotel with the most direct, striking views over Central Park. Great Location, a minute's walk from the world famous Fifth Avenue shops. Enjoy the feel of a private apartment home with a Central Park South address in the center of New York City. .A home away from home with quite the perfect New York setting with service which showed kindness and thoughtfulness We had the feeling that the GLH team ( Eliza) was in the background encouraging the hotel staff to create a memorable stay. I stayed in this hotel in 1996 and I think the renovation is perfect. The size of the hotel is also an asset because it is not a tourist factory. No noisy group during our stay. This is really a plus. We could get a late check-out at 4:00 p.m. because our flight was at 20:00. It was much appreciated. Thank you again.